Distinctly Italian in the quality of both its design and production, Gregg Brodarick and Adriano Design created Calma e Gesso, a new luxury brand which offers a wide range of luxury lifestyle products. The first challenge of Calma e Gesso was to reinvent the billiards table with a series of innovative, patented solutions that have produced a seemingly transparent crystal “jewel” called Filotto. 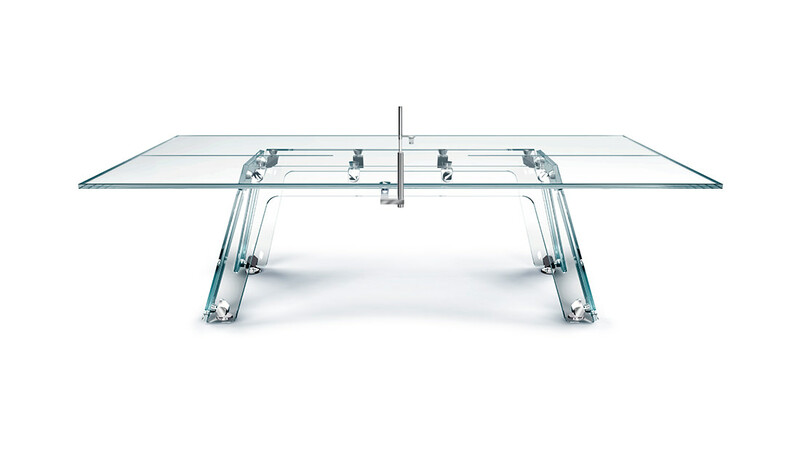 To complement the design and craftsmanship of the billiard table Filotto, Gregg Brodarick and Adriano Design gave birth to a new creature in crystal, another piece to add to the incredible collection Calma e Gesso : a ping-pong table made of glass called Lungolinea. Innovative technological solutions and sophisticated production techniques are the basis of Adriano Design philosophy. The way they re-create products and reinvent the rules makes their products unique and desirable. Gregg Brodarick and Adriano Design intend with the brand Calma e Gesso to show to the world the ability of Italian design in refined craftsmanship and use of technology and to give a new face to games with such a long history. Indeed, recreating a product born in the eighteenth century is an incredible challenge. Adriano brothers were well aware of this when, together with Gregg Brodarick they decided to take on the difficult task of redesigning the ping pong table Lungolinea, to turn it into a superlative design object, an object of desire, so exclusive that it can be inserted in any context with the pretension of becoming the center of attention. 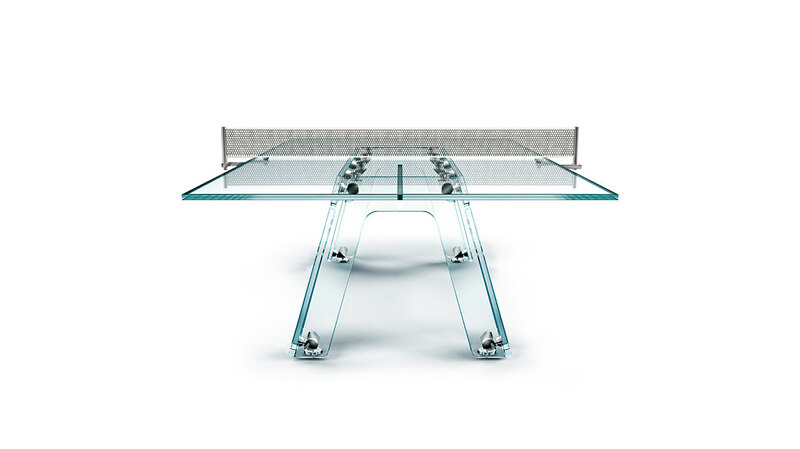 Thanks to a series of spectacular inventions devised by Adriano Design, the crystal Ping Pong table Lungolinea offers the highest levels of gameplay. It is now possible for even the most competitive professional players to enjoy a game of ping-pong on a table made of glass. The beauty of the artifact enchants for its lightness of material and sophistication of technological solutions. Calma e Gesso and Gregg Brodarick now have a new magic to astonish the world of luxury with a collection of absolutely extraordinary items where excellence is sought in a maniacal attention to details to create a masterpiece. 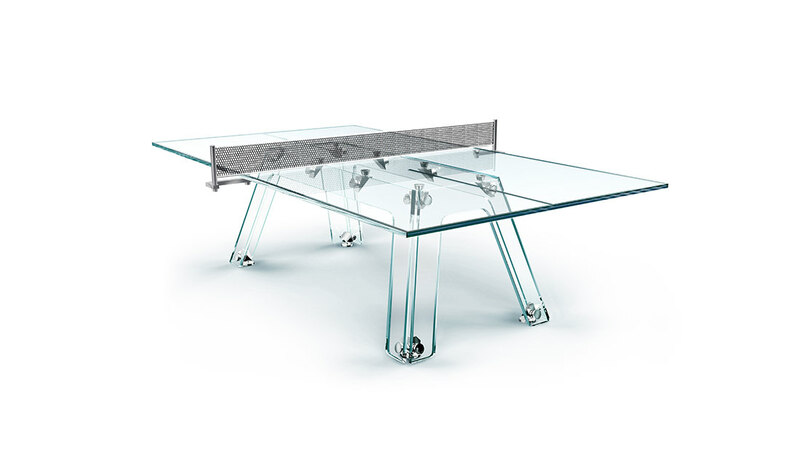 After Filotto, Gregg Brodarick and Adriano Design demonstrate once again the sophistication and the ingenuity of Italian design and craftsmanship with their outstanding crystal Ping Pong table Lungolinea. To discover more luxury lifestyle products, visit our Design category. Share the post "The Crystal Ping-Pong Table Lungolinea by Calma e Gesso"